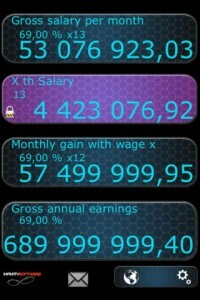 CashSherpa.com would like to bring another startup to the Cash Sherpa reader called DorfStats. 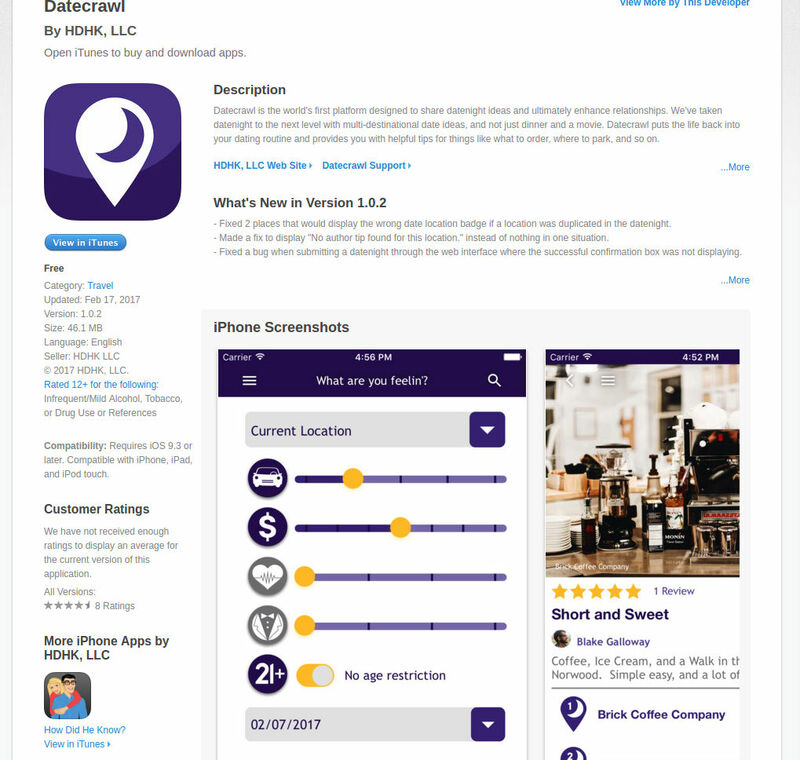 Dorf Stats is a predictive analytics startup company based in Greensburg PA. The company builds predictive statistical models for data rich corporations; exclusively providing business-to-business services. “In our world of Big Data and Business Intelligence, a new Predictive analytics company has emerged that uses the best of behavioral statistics to solve business questions. DorfStats.com, founded by licensed psychologist and statistician Dr. Ted R. Dorfman PhD, employs quantitative methods from social science and other proprietary techniques to address the business problems of companies. For instance, if a company wished to project the future costs of an important commodity, these methods can forecast the likelihood of the future prices within a reasonable outcome band. In the area of sales, company data can be analyzed to determine the most important business factors of a marketing and sales campaign. Nearly every corporate issue that generates numerical data can improve the certainty of its decisions with these techniques. 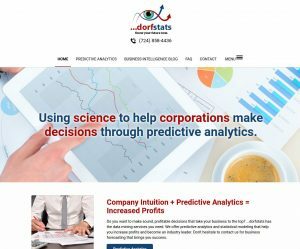 If your company is looking to increase profits using company intuition and predictive analytics then check out DorfStats.com. I know what you’re saying, you don’t need another fitness product in your life. You’ve tried them all, etc. etc. But this is the 21st century! Things are different, things really have changed for the better when it comes to fitness products. That’s where Stealth Fitness Core Training comes it. It’s next generation fitness technology. Stealth Fitness merges core training with cutting edge technology. “Stealth uses custom game play on your smartphone to train 29 core muscles with unlimited workouts in 3 minutes a day.” If exercise isn’t fun and engaging on a daily basis you will not do it. 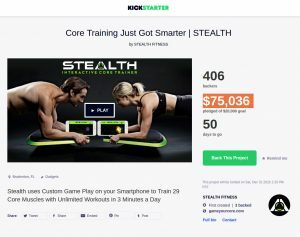 For only $99 you would of received a Stealth Core Trainer, but unfortunately it’s sold out. Now for $149 you will receive a core trainer and access to Stealth Games. I rarely review such successful crowdfunding campaigns on CashSherpa.com opting for smaller ventures, but I think my readers will appreciate this one. There are so many people, especially in the United States, looking to loose weight and become healthier. There’s also another group of people wanting to up their fitness game even further. Stealth gives individuals in both camps the opportunity to get better bodies through the merging of science, technology, and gamification of a core training fitness product. Are you looking for a high quality business logo? If the answer is yes you may want to look into Repeat Logo. Their graphic designers create unique corporate logos specifically for your brand. RepeatLogo several levels of service including pro, enterprise, and advanced. There is something for any budget. To order just enter your requirements, make an order, select a concept from their logo suggestions, contribute to the design concept, and approve the finished product. When your logo is finished your design will be sent in Adobe Illustrator, EPS, RGB JPG, GIF, TIF or any other format. The company offers services worldwide. Pro package details: The PRO package is only £39 and this includes 5 business logo design revisions for your brand. Enterprise package: The price is £149 for 8 logo concepts, unlimited revisions and we will even throw in your branded letterheads, envelopes and business cards. Advanced package: 5 logo concepts and 9 logo revisions for only £99 – get in touch with us now to create your business logo.